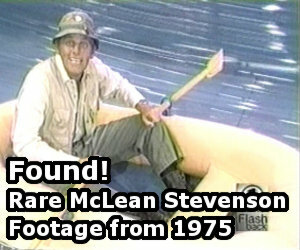 I’m putting the finishing touches on a new layout for MASH4077TV.com that you can expect to see later this month. This is will the first time I’ve changed the look of the site since September 2013. 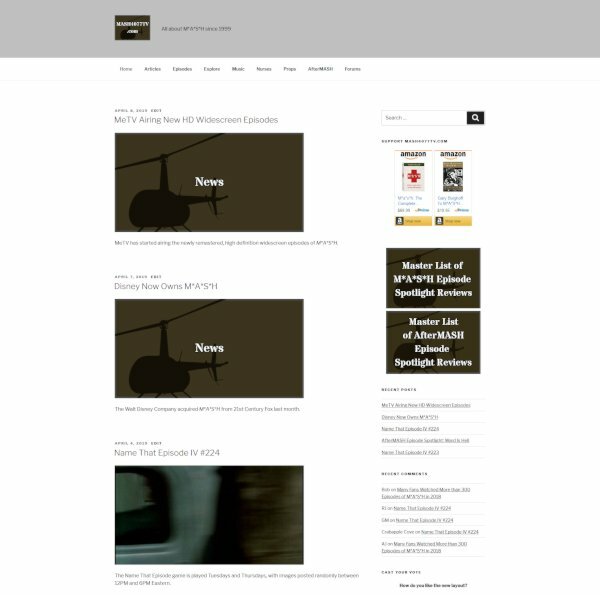 A look at the redesigned layout for MASH4077TV.com, debuting later this month. I’m also shifting some content around to better organize the site. A new “Explore” section will replace the existing “Features” and “Mish M*A*S*H” section. There will also be a standalone AfterMASH section. I’ll be rolling out new content over the next few months, starting with a revised and expanded music of M*A*S*H section. You can also look forward to more activity at the blog, with the return of Monday M*A*S*H Discussions on May 6th as well as occasional posts about M*A*S*H memorabilia and collectibles. It really doesn’t even seem like it’s been that long since the blog was last redesigned, but I guess it was? Wow, has it really been 5.5 years since the last update? Thanks for keeping this terrific site going! I haven’t watched much M*A*S*H at all in the past 12 months but I still enjoying reading the articles and comments here. I’ve started rewatching M*A*S*H this month and it’s great to hear that the blog will be more active! I look forward to it. I realize that you might have already thought of this, but could you post a link to all of the M*A*S*H discussions? Some of them are amongst the most interesting things I’ve read in years.